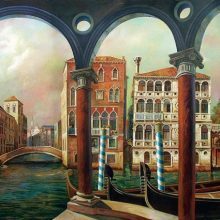 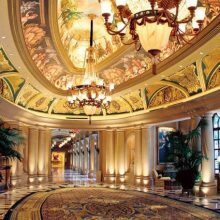 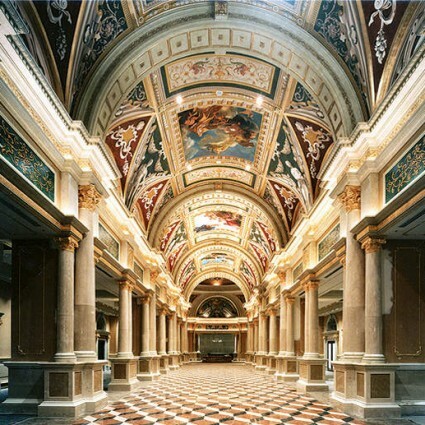 EverGreene recreated the essence of Old-World Venice for the Venetian Resort Hotel Casino in Las Vegas. Our services included original Baroque-inspired murals, trompe l’oeil ornament, and specialty finishes covering approximately 50,000 square-feet of ceilings and walls throughout this grand hotel. 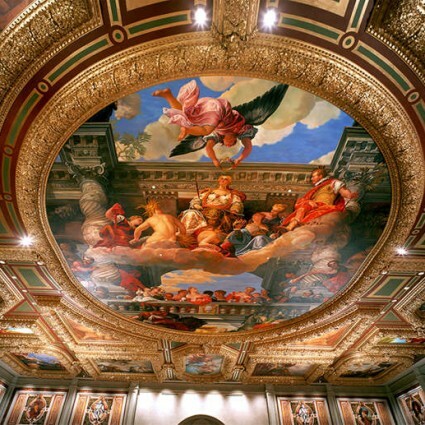 EverGreene also completed the design, construction, gilding, and installation of an Armillary Sphere. 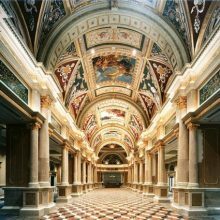 The Venetian and EverGreene have continued the partnership with work on their resort location in Macau, China.